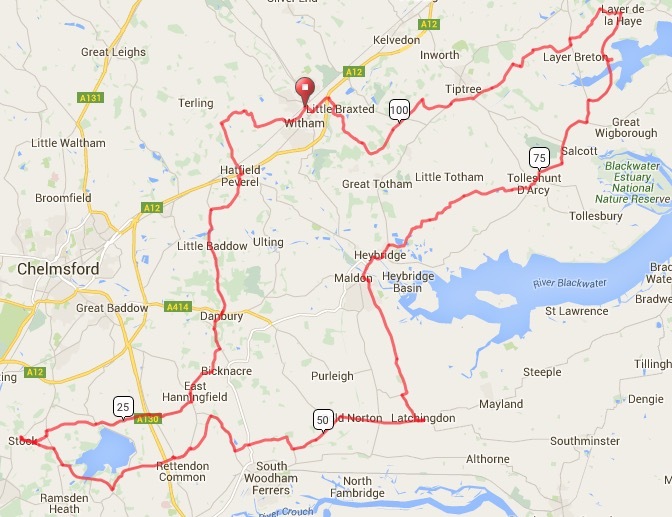 107km cycling event starting from Witham, Essex. Controls at Stock and Latchingdon, plus 1 information control. Two reservoirs crossed and views of some rivers on a B road tour of central Essex.